Canadian public relations firm North Strategic and creative agency Rethink Communications have earned medals at the 2014 Facebook Studio Awards. North’s “Social Flyer” program for Sport Chek earned a silver medal award, while Rethink’s “Playland Hot Seat” campaign earned Bronze. 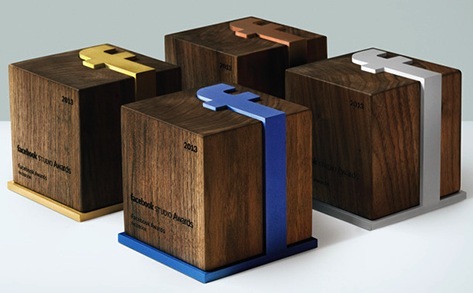 Marketing asked Helen Pak, creative strategist at Facebook Canada, to give us the low-down on the best-of-show or “Blue” winner, the first-ever Facebook for Good Blue honoree, and the Canadian and gold winners. “In response to the marketing hype around brands’ ads during the Superbowl, Newcastle Brown Ale hypothesized about what their campaign could have been, had Newcastle had the money and permission to create its own “Big Game” ad. “The strongest creative elements from the campaign were introduced through a series of teasers, storyboards, focus groups and behind the scenes footage of what the Big Game ad would have looked like. If We Made It is a great example of a fully integrated campaign that started on Facebook where the brand was able to share their story at scale, to an audience even larger than the Super Bowl itself. “Trial by Timeline was the first non-profit campaign that we’ve had participate in the Facebook Studio Awards which inspired its own category, Facebook for Good Blue. “The campaign designed an application that scanned people’s Facebook profiles and daily activities, sentencing them to punishments based on real-life punishments for crimes around the world. Trial by Timeline creatively turned a person’s natural activities on Facebook into an emotionally triggered narrative on the unfair punishment rulings that exist in many parts of the world. “To inspire Brazilians to think differently about the importance of organ donation, the Bentley Burial campaign had famous and eccentric Brazilian Millionaire, Count Chiquinho Scarpa, post on his Facebook Page that he was going to bury his Bentley vehicle in his backyard. “The idea was to get people thinking about the waste of organs that are buried, and could alternatively be saving lives, by using people’s reaction to the burying of a luxury car to drive conversation on the topic of organ donation. “A truly creative campaign inspired by a business insight, Try My HyBrid transformed hybrid owners into brand ambassadors instead of depending on company salespeople to increase customer recruitment for the Toyota brand. “HyBrid owners were recruited through Facebook and people could locate friends, and friends of friends, who owned Toyota HyBrids that would allow people to take the vehicle for a test drive. The campaign creatively leveraged people’s social network on Facebook to act as a personal referral program to people interested in buying a new car. “It’s always amazing to see creative recognition of work being done here in Canada and Sport Chek’s Social Flyer is a great example of a brand using Facebook to transform traditional messages in a much more personalized way to a new audience. “What I especially liked about the campaign overall was the creative idea – taking content from a paper flyer that Sport Chek had relied upon as a primary advertising vehicle since its inception as a company – and turning it into something that would resonate and allow people to connect and discover what matters to them. “Giving teens the ability to control another person’s experience at an amusement park is pure genius and a sure-fire way to guarantee funny and engaging content. “Eight contestants were given free passes to Playland’s Amusement Park in Vancouver with the condition that the brand’s Facebook fans would determine what rides they went on and what they did. Contestants were outfitted in Go Pro cameras so their adrenaline driven experience could be easily shared online. “What makes this campaign so special is Playland allowed its Facebook fans to not only drive the overall experience of the contestant in the ‘Hot Seat’, but also to decide the content the brand would post on its Facebook Page. Given the audience for the contest was teens, video content was incredibly relevant resulting in higher levels of engagement from Playland’s fan base. This story can be found at: http://marketingmag.ca/advertising/two-canadian-campaigns-win-medals-in-facebook-studio-awards-109103.